Skiing is an excellent way to enjoy the colder months. While skiing is an exciting sport, the low temperatures, icy surfaces and high speeds can result in an increased risk of injuries. It is not uncommon for skiers to suffer from muscle soreness and injuries as a result of the strenuous exercise and falls. While it is not possible to entirely prevent injuries, these tips can help you reduce the risk of injuring and straining your back. Skiing is a physically demanding sport that requires strength, endurance and high fitness levels. 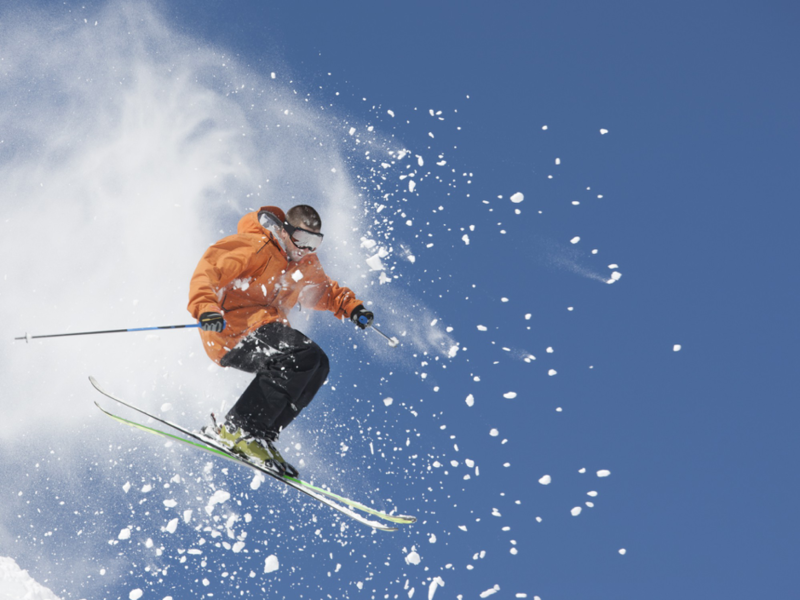 Whether you’re new to the sport or a seasoned skier, it can take a toll on your body. It is important to build up your strength and stamina before hitting the slopes. Pre-ski season conditioning can reduce the incidence and severity of injuries. Follow an exercise program that focuses on improving core strength, flexibility and balance. Warming up prior to a skiing session is also imperative. It doesn’t need totake too long – try some light exercises and gentle stretching for 10-15 minutes before you start skiing, to get your muscles ready for the vigorous exercise ahead. Most of us ski infrequently and it’s common for there to be a long gap between skiing holidays which means it is easy to be out of shape and out of practice. Starting slowly and carefully can help reduce the likelihood of injury. Start with at least one warm-up run down the easiest hill to get to grips with the slopes. Only move on to a more challenging terrain when you feel confident in your ability. Injuries don’t just happen on the slopes. Carrying heavy skis and other equipment can lead to lower back strain. Make sure you lift equipment properly, keeping the back straight and bending at the knees, not at the waist. Avoid turning or twisting the body while lifting heavy objects. Skiing includes movements that are sporadic and sudden. This can be potentially stressful for the spine and the surrounding muscles. It is important to stretch before and after skiing. Stretching allows the muscles to loosen up and may help prevent sports injuries. Make sure you use equipment that fits properly and is right for your size. Wearing gear that is too big can be especially dangerous as it reduces the amount of control you have on the slopes and also puts strain on your body. Avoid skiing on a slope that exceeds your ability level. If you feel like you’re not entirely in control, stop immediately and try an easier slope instead. Keep within your comfort zone until you have sufficient practice and feel more confident. Remember to listen to your body. If you’re feeling tired, stop skiing. Fatigue can lead to poor judgement so be aware of how you are feeling and rest when you need to. For more information on maintaining a healthy spine, please visit the website, or if you need adjustment to make the most of your holiday and enable to you to ski safely, contact the clinic. We would prefer that to having to fix you on your return!